Placement reiterates Cormant’s established strength as a holistic data centre infrastructure management (DCIM) software provider. San Luis Obispo, Calif., USA – (Oct 27, 2015) – Cormant, Inc., a data center infrastructure management (DCIM) pure-play expert, today announced its position as a “Major Player” in the IDC MarketScape: Worldwide Datacenter Infrastructure Management 2015 Vendor Assessment (Doc #259603, October 2015). Cormant continues to advance its features in coordination with customer needs. As described in the press release, New IDC MarketScape Evaluates Datacenter Infrastructure Management Vendors, users should be aware of the tool’s ability to integrate, scale, and provide predictive analytics. Each of these were addressed or enriched in the recently launched Cormant-CS DCIM version 8. Integrations: Cormant-CS DCIM has always had an open API, but has since advanced its API to include progressive plug-and-play interface options for many of the leading data center software tools. Cormant has interfaced with many systems, making it the centralized source of truth for all data center information for hundreds of companies. Cormant-CS can provide alerts on any data point from any integrated system. Scalability: Cormant’s unique pricing structure makes it a feasible and scalable solution for companies of all sizes. It has global deployments in some of the world’s largest companies, including three of the top ten global banks, as well as smaller, single-site deployments for both high-growth and established organizations. Predictive analytics: Cormant improved its what-if and Workflow analytics earlier this year. 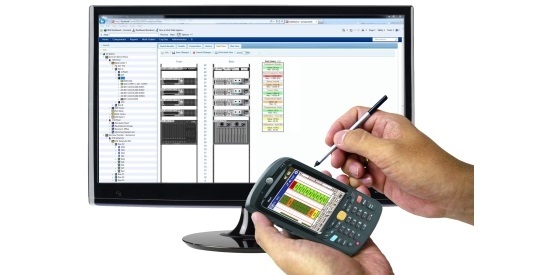 Users can generate reports on affected devices in the power chain during PDU or UPS failures. Users can also identify optimal rack locations for new equipment based on weighted or unweighted data. More analytics and corresponding reports are currently available and even more are being frequently added. Cormant has been included in all IDC MarketScapes for DCIM including the IDC MarketScape: Worldwide Datacenter Infrastructure Management 2013 Vendor Analysis, May 2013, Doc #241280 and the IDC MarketScape: Asia/Pacific (Excluding Japan) Datacenter Infrastructure Management Solution 2014 Vendor Assessment, Oct 2014, Doc #AP250842. For more information on the 2015 IDC DCIM MarketScape, visit IDC here. The IDC MarketScape vendor analysis model is designed to provide an overview of the competitive fitness of ICT (information and communications technology) suppliers in a given market. The research methodology utilizes a rigorous scoring methodology based on both qualitative and quantitative criteria that results in a single graphical illustration of each vendor’s position within a given market. IDC MarketScape provides a clear framework in which the product and service offerings, capabilities and strategies, and current and future market success factors of IT and telecommunication vendors can be meaningfully compared. The framework also provides technology buyers with a 360-degree assessment of the strengths and weaknesses of current and prospective vendors. On April 19, 2015, the Cormant team embarked on a journey to our neighboring state for AFCOM’s Data Center World (DCW), Las Vegas as we do every year. DCW combines various information sessions on a wide variety of topics from renowned industry thought leaders with over 1,000 attendees, hundreds of vendors, and a vibrant Vegas setting. Speaking sessions are vendor-neutral. There’s no sales pitch and speakers are selected based on subject matter expertise, not marketing budget, providing more benefit to attendees since the goal is education. Well organized. Whether you’re an attendee or a vendor, the entire event runs flawlessly year after year. Trending topics. DCW does a great job selecting the topics that attendees really care about with multiple tracks to choose from so there are plenty of sessions of interest to you. Opening networking reception: At DCW Las Vegas in particular, the opening reception is at the Dolphin Bar which is just a great setting to meet peers. DCIM was a highlight of the show, with multiple information sessions on the topic. On Day 1, Cormant was invited to participate as thought leaders in two vendor-neutral, DCIM sessions. – Moderated by:Paul Goodison, CEO, Cormant, Inc.
– Panelists: Chuck Wysocki, IT Service Management Evangelist and ITIL Master, McKesson; Sev Onushkevych, CMO, FieldView Solutions; Mark Harris, VP of Strategy, Nlyte Software; and Olivier Allard, DCIM Advisor, Maya HTT. Click here for Julie’s Top 5 Lessons from this lively and informative panel session. 2. “The DCIM Journey” – by Stuart Hallin, Senior Technical Consultant, Cormant, Inc. In a joint effort, Cormant, offering an unrivaled DCIM suite and Corning with its leading fiber solutions, offered attendees a chance to win a $500 Visa giftcard in an in-booth raffle. With hundreds of entries, one winner was enthusiastically drawn as a large crowd engulfed the Cormant booth. 4 Critical IT, a leading IT solutions provider in the Netherlands, gathered some of the largest global companies on April 16, 2015 for a high-powered, IT-centric event in Reeuwijk, Netherlands. The event focused on solving business-critical IT problems with leading software solutions, including Cormant-CS DCIM. GE and Ernst & Young were some of the participants excited to learn the power of managing their IT infrastructure and using real-time alerts and analytics with Cormant-CS DCIM. September 25, 2014 – Cormant, Inc., a data centre infrastructure management (DCIM) pure-play expert, today unveils enhanced Workflow functionality in its seventh version of the Cormant-CS DCIM software solution. The new release increases process visibility to improve the efficiency of projects. The enhanced Workflow feature provides another flexible, easy-to-use option for maintaining data accuracy by enabling the user to plan work on the web and execute that work on a mobile device. US$10 Million Combined Savings – Server Roundup Awards. Barclays and McKesson, two customers of the Cormant-CS DCIM solution, win recognition at the 2013 and the 2014 Uptime Institute’s Server Roundup Awards by reaching a combined savings of over US$10 million in power consumption and hardware maintenance costs during that time. 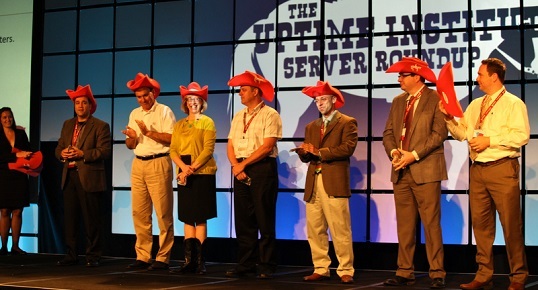 San Luis Obispo, Calif., U.S.A. – July 24, 2014 – Cormant, Inc., known for its data center infrastructure management (DCIM) software solution, applauds the achievements of two of its customers in the 2013 and 2014 Uptime Institute Server Roundup Awards. Barclays, a leading, global financial firm and two-time winner, and McKesson, the largest healthcare technology company in the United States and 2013 finalist, saved a combination of over US$10 million from decommissioning over 15,000 servers during 2012 and 2013. Barclays decommissioned 14,639 servers, 20,000 network ports and 3,000 storage area network ports, a number far exceeding the other six finalists’ during that timeframe. Barclays’ achievements resulted in an impressive 5.5 megawatts (MW) of power saved, totaling nearly US$8 million and over US$2 million of savings from hardware maintenance costs. These figures exclude the opportunity cost from newly freed space for further infrastructure expansion. Combined, Barclays and McKesson accounted for over 60 percent of the decommissioned servers and an estimated 75 percent of the total savings achieved by the 2013 (Uptime Institute, 2013) and 2014 (Uptime Institute, 2014) finalists. Both Barclays and McKesson manage IT infrastructure with Cormant-CS DCIM software. Cormant-CS is in its seventh version and allows users to better manage equipment and connectivity to run more efficient data centers. Cormant-CS not only streamlines capacity planning, but also helps manage equipment lifecycles so a manager can know when to remove or replace equipment. Cormant has been an expert at IT infrastructure management software for the data center and beyond (DCIM) since 2001. Cormant’s solutions are sold globally with customers and partners on six continents encompassing all industries. Cormant is focused on working with customers to improve their management, control and reporting processes by delivering Cormant-CS, a DCIM solution that provides a single-pane-of-glass view to where the physical and logical layers of IT infrastructure meet. Learn more a twww.cormant.com. https://www.avantex.com.au//wp-content/uploads/2015/05/Avantex-Logo-Medium-transparent.png 0 0 Info@avantex https://www.avantex.com.au//wp-content/uploads/2015/05/Avantex-Logo-Medium-transparent.png Info@avantex2014-07-24 12:05:362018-04-20 06:35:04US$10 Million Combined Savings - Server Roundup Awards. Data Centre Knowledge, a leading source for everything data centre, posted a story on Cormant-CS and its benefits in the Belden partnership. It speaks to Cormant-CS’s ability to monitor infrastructure, environmental conditions, power and data connectivity in real time with asset management functionality. Read the article here.